Before we begin, let's remember something very important, instant results on your Twitter page, will not happen overnight. In fact, research shows you have to work at it, consistently. If you’re posting only once a month or even every couple weeks and expect to see results, you are in for a rude awakening. Not only have I done the research, but I’ve also experienced progress first hand. First and foremost, make sure your profile is public. A private profile will not allow you to receive much engagement except from your current followers since it’s not visible to anyone else. The point is to increase your followers. So, let's get right to our 8 tips how to get Twitter followers. Your current followers and future Twitter followers hold major value to your business. Twitter provides an opportunity to connect with your customers and future prospects. 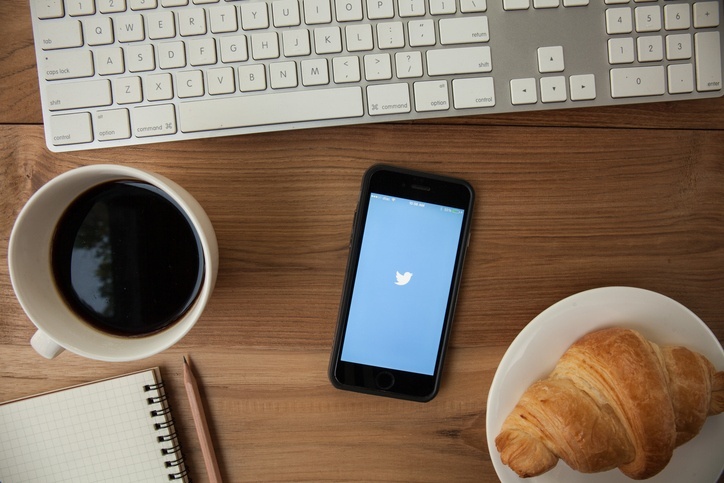 According to Forbes Magazine, marketers say 36% of businesses have gained a client by using Twitter. Knowing your audience is key. Make sure to follow users that you feel could be a potential client. There’s no guarantee if you follow a possible consumer that they will follow back. Don’t give up, give them time to follow you in return and when they don’t show interest, move onto the next. Bitly.com advises to tweet between 11:00am - 3:00pm during the week. Remember, Twitter receives the most traffic at around 1:00pm. The proof is in the pudding! According to Twitter Analytics, I noticed a surge in engagement/impressions activity between noon and 1:00pm. Reconsider posting after 4pm, which we found to rarely receive “likes” or responses to our tweets. It’s highly recommended to use a social media software such as, Hootsuite or HubSpot to track your progress. Use the calendar to automatically tweet during the calendar year. Also, make sure to keep your tweets engaging yet, short. This will allow you to rank in the Twitter Search. Your bio should have a personal touch of who your brand is. Make sure to fill out your location, which will make it easier for local businesses to search you (Forbes.com). Forbes Magazine also recognized that by adding a hashtag to your tweet, it's said to gain 2x more engagement than without one. Again, if you decide to try this out, compare a tweet without a hashtag to a tweet with a hashtag. For example, one of our tweets regarding the OCAMA event we attended, included relevant hashtags and received 268 impressions with several profile clicks. Soaking in @ThatsNickQ from @MelissasProduce marketing knowledge! Another great speaker to look forward tonight @the #OCAMA #SnapChat event! This is compared to another hashtag-less post that generated only 87 impressions. Adding a hashtag to your bio couldn’t hurt as well, avoid over-doing it, though. If it generates twice as much engagement in a solo tweet, imagine twice as much profile views. Using images on Twitter receives 18% more engagement than a photo-less tweet suggested by Forbes. We receive on average of 200 or more impressions with each image post, however, before you go off and take a photo or create content, determine whether it is well thought out. Keep in mind, about 65% of people are visual learners, which also means the brain can process visual information 60,000 times faster than text. I can’t tell you how important interacting with your followers and other users on a constant basis is. We found by consistently tweeting at our followers and other users we experienced a rise by 466.0% in tweet impressions, 206.5% in profile visits and 98 more followers so far for the month of July, as reported by Twitter Analytics. Retweeting or replying to other users is a conversation starter and could prompt a follow in return or even a potential client. Social Media Examiner.com proposes, If you have a Facebook page be sure to add your other social media links with a short description to your about section. It's also a good idea to add social media logos to your cover photo, other content and usernames to your caption to promote your other platforms. Also, consider adding a tab to your Facebook page specifically for social media links. Make sure your Twitter content is helpful, informative, relevant and engaging. Research suggests 15% of Twitter users will unfollow a brand within 3 weeks if a brand isn’t posting enough engaging information (Forbes.com). In conclusion, interaction is the #1 tip we can give you. Think of it as being at a networking event. If you sit around and avoid making eye contact with anyone, then you will not be able to initiate new relationships. However, if you go out of your way, and reach out to people, then a relationship can begin to form. The same concept goes with Twitter. Reach out and interact! Good Luck!